It's officially summer break for me and the kids and I'm looking forward to two months of fun, relaxation, and hopefully some quality time in my sewing room! 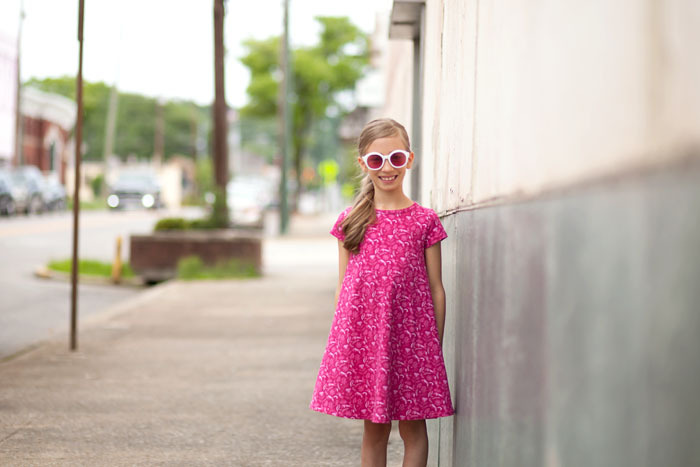 To start things off, I made this awesomely pink dress for Syd using fabric from Tamara Kate's newest line for Michael Miller Fabrics, Frolic. 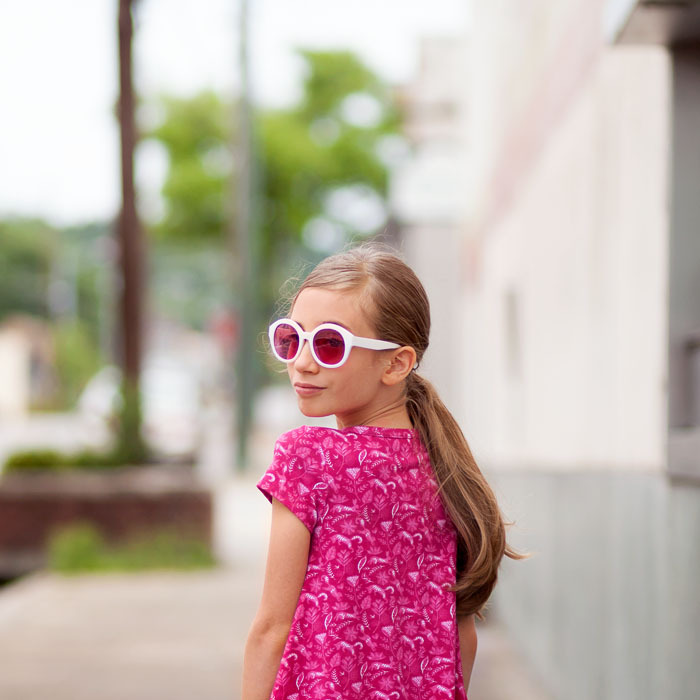 The print is called Frolicking and the kiddo who loves all things pink chose the Raspberry color way. This fabric is an oh so soft cotton spandex knit and great to work with. I'd say it's definitely a beginner friendly knit as it's pretty stable and doesn't do any of the crazy stuff some knits tend to do. 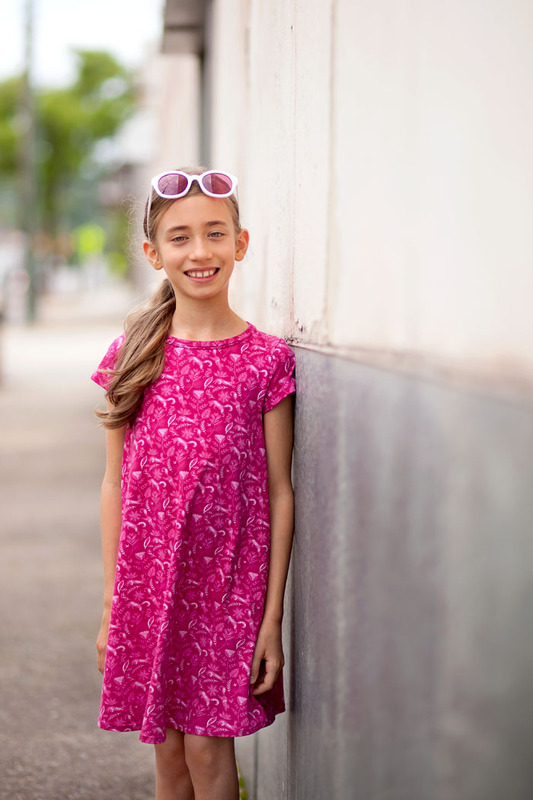 I made a Groove Dress by Made It Patterns and I think it's a great summer staple pattern. Based on measurements, I made a size 6 lengthened to an 8 which was a good fit for the kiddo. The only thing I would change on future versions is to widen the neckline a bit or choose another way to finish it so that it's a bit easier to pull on. The kiddo (who is apparently 9 going on 16?!?) and I had so much fun during our little photoshoot for this post. A big thank you to Tamara for inviting us to be a part of her tour! 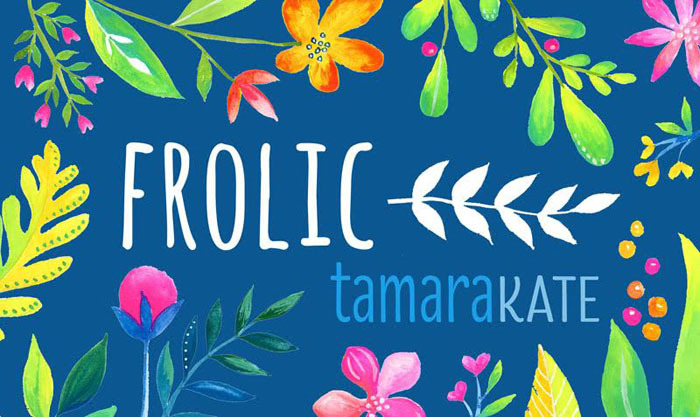 Frolic by Tamara Kate will be shipping to stores on June 15th! Make sure to check out more Frolic Fabric Tour posts here and here for more ideas and inpsiration. Such a great summer staple! I hope your daughter (who is stunning) enjoys it all season long. Thanks for helping launch Frolic, Vanessa and for your lovely sewing and fab photography. 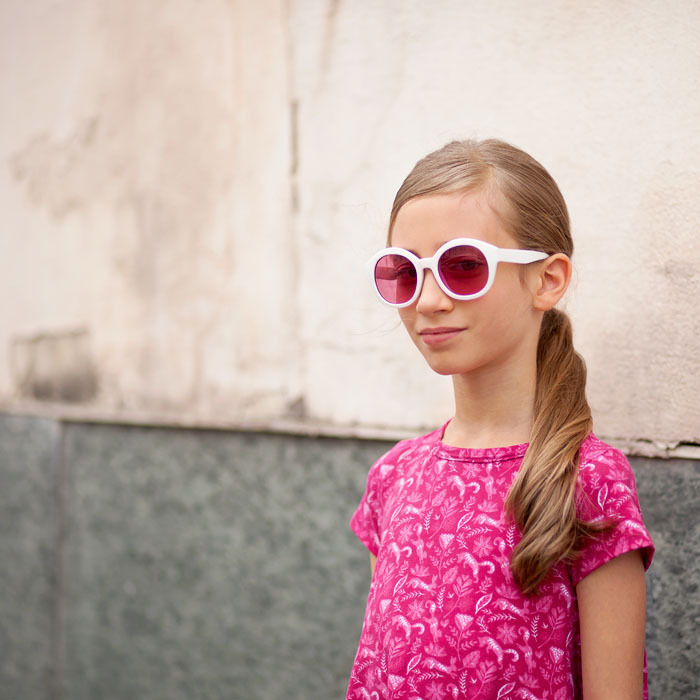 Syd looks so stylish in her new dress and those cool sunnies! How perfect! Love it all- the girl, pics, and dress!! 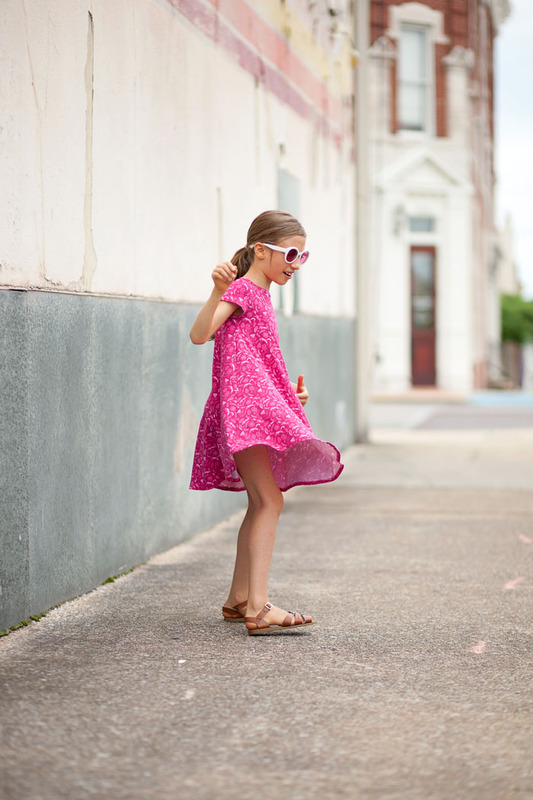 Cute dress but oh what darling photos of your sweet girl! Such a beautiful dress (a favorite pattern with my girls) and what a fun fabric! She looks gorgeous!! I have never seen a groove dress I didn't love. and that fabric is such a bright happy color!